YAMAHA high speed Screen Printer machine with impeccable precision due to YAMAHA's original 3S head that automatically adjusts squeegee angle (with 1 degree interval) between 45 and 65 degrees. 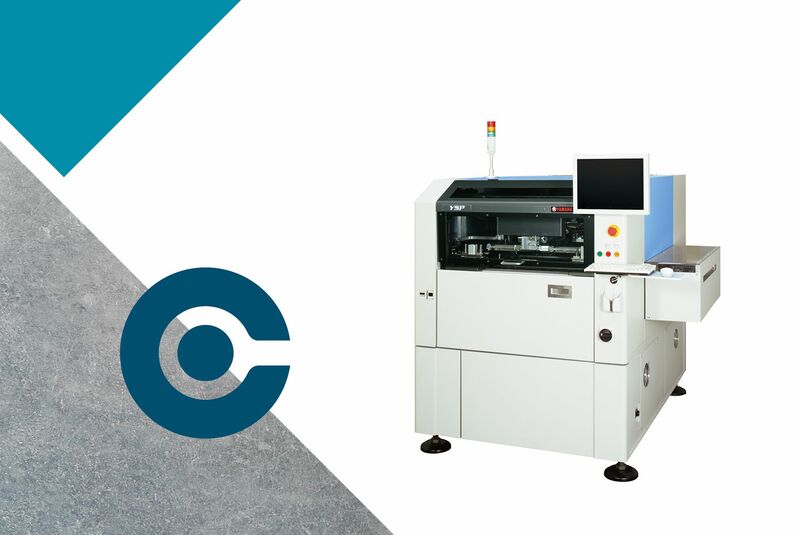 Read more about the YSP solder paste Screen Printer unit in the specification & info bar below. Screen Printer spec sheet to download or to print with more information on the YAMAHA YSP solder paste Screen Printer. See this Screen Printer video to really get an understandig on how the YSP Screen Printer machine works. Screen Printer equipment and Screen Printer supporting units are what we excel in.